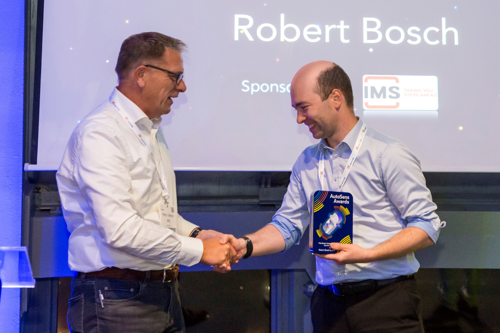 At the AutoSens event in Brussels IMS had a special role: presenting the 'Hardware Innovation' Award. The Award recognises future-oriented innovative technology in automotive hardware. 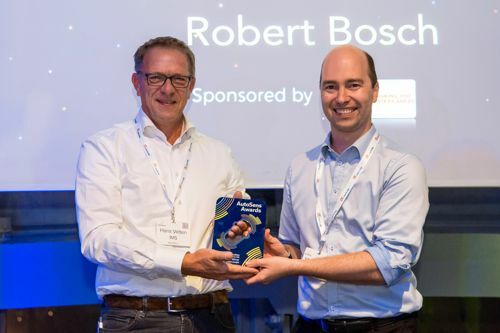 And the winner of the automotive Hardware Innovation Award 2018 is... Robert Bosch GmbH! It was a great honor presenting the Hardware Innovation Award to Robert Bosch this year. The innovative and future-oriented leadership displayed by Robert Bosch in automated driving has earned them this prestigious Award. On behalf of IMS, we congratulate Robert Bosch! Well deserved! We’re looking forward to AutoSens 2019. Do you want to know more about the other award winners?